In new versions of CCProxy, we have added function to allow you to request "Register Code" right from CCProxy UI. 1. 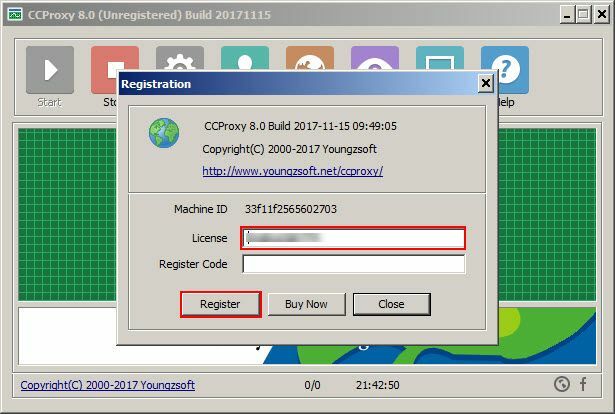 Open CCProxy and click "Register" button on toolbar to open "Registration" windows, enter your serial code and click "Register" button (Figure 1). 2. The registration fails, and show you a prompt to request "Register Code", click "Yes" button (Figure 2). 3. 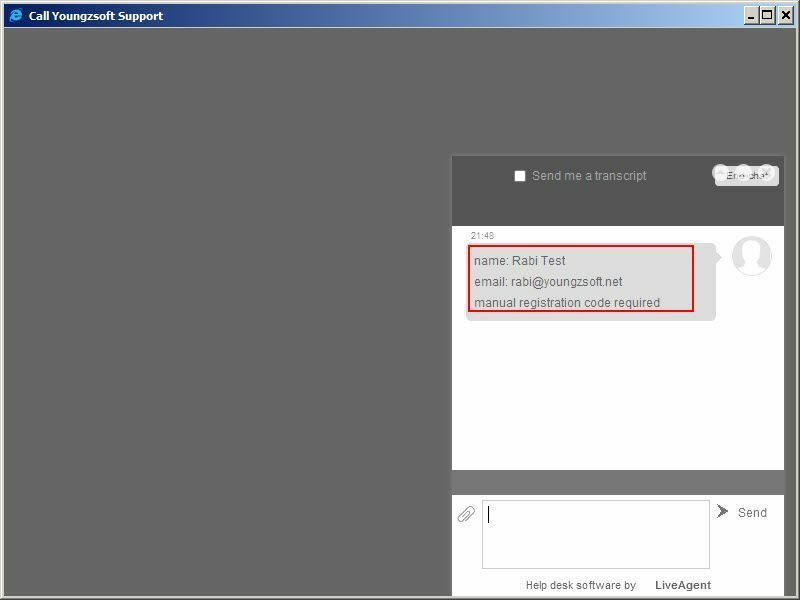 Now, on the "Call youngzsoft Support" windows, type your message and click "Chat" button (Figure 3). 4. 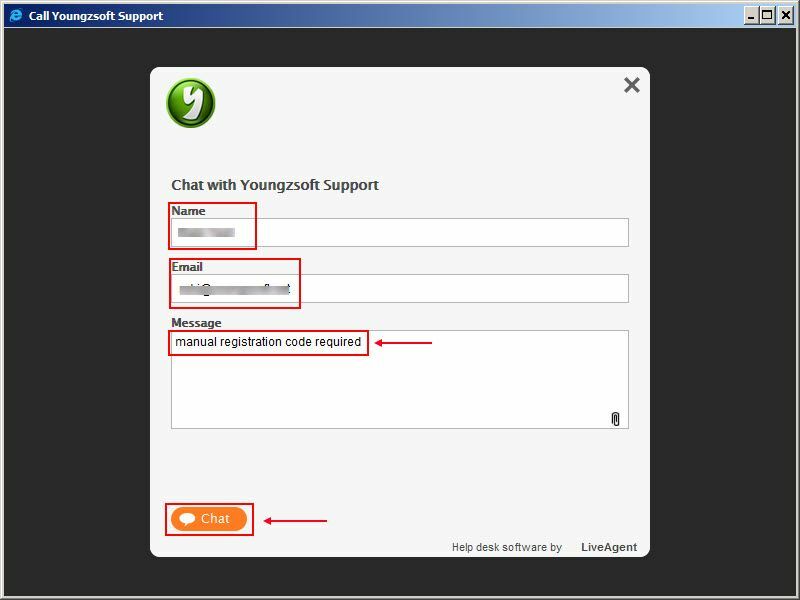 Now, one of our support staff will take the chat and provide you with the registration code for manual registration (Figure 4).